Did you know that Winnie the Pooh Day takes place in January – January 18, in fact, which is why, a week ago, I sat down to consider Aspray’s property claims management franchises in light of not just Winnie the Pooh, but the Tao of Pooh. For those of you who do not know, the ‘Tao of Pooh’ is a 1982 book by Benjamin Hoff, which focused on the characters in AA Milne’s book, to explain Taoist philosophy. In my mind, I was pretty sure that I could take Benjamin Hoff’s thoughts and character analysis and put these into an Aspray franchise context, to analyse what makes a great Aspray franchisee. So it proved. 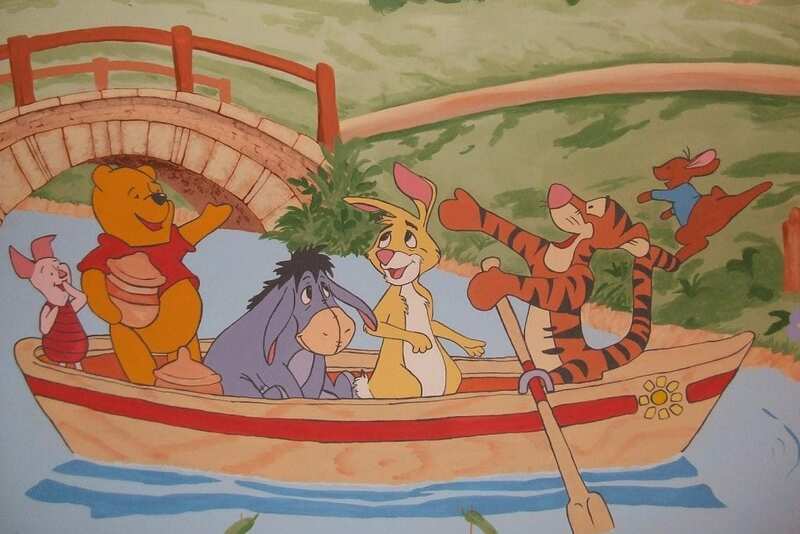 Let’s start with the central character, Pooh Bear. Hoff went to great lengths to highlight how Pooh enjoys life with simplicity, but not stupidity – the ‘Pooh Way’, based on Taoism’s ‘Wu Wei’. 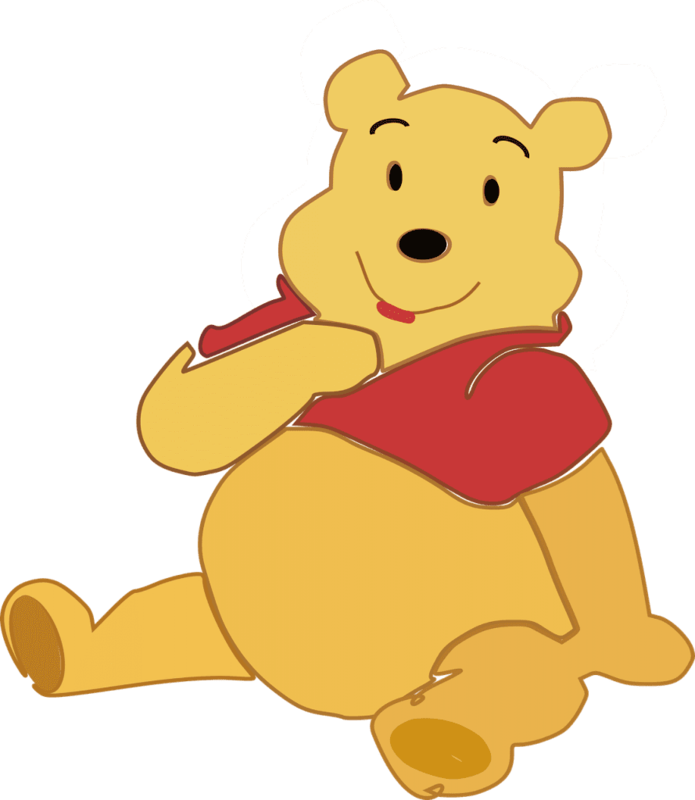 Pooh “Just is” and, “He does silly things and they turn out right.” To Hoff, Winnie the Pooh was Taoism’s ‘Uncarved block’, accepting life, work and people as they are, because he knows where he belongs and understands his ‘Inner Nature’. Pooh is able to put a round peg in a round hole and a square peg in a square hole, with no fuss, no struggle and no stress. He doesn’t try to think about it and just does it. That ability to just do it, gets things done. When you consider this, the Aspray franchisor should be seeking out talented people who have that inner Pooh within them. It requires property claims loss assessors who have the natural ability to get things done and sort out what can be complicated property insurance claims for homeowners or commercial property owners, because they are able to see the wood from the trees, in whatever Hundred Acre Wood they find themselves at the first notification of claim. No two people are the same, but if they understand their Inner Nature and do not lose sight of it, they can become brilliant loss assessing franchisees, acting on instinct, not trying too hard and accomplishing things as a result. This is what Hoff calls the ‘Cottleston Pie Principle’ – knowing and respecting your inner nature and where you belong. So, moving on to Rabbit, surely he is the type of franchisee Aspray want on board, with his ‘Gone Out, Back Soon, Busy, Busy Back Soon’, notice stuck on his door? Unfortunately, not. Rabbit, or ‘Bisy Backson’ as Hoff calls him, is overworked and continually stressed out as a result. He makes himself constantly busy, but with little end product to show for it. He is out looking for a ‘Great Reward’ and is “working like a lunatic” to try to achieve it, but he fritters away time, by frantically working to save time – a commodity that cannot be saved. His time is not spent wisely and is always focused on a future goal, rather than appreciating that, by concentrating on the here and now, that future goal may be achieved. By being constantly busy and chasing his own shadow around, Rabbit fails to free up his mind sufficiently and, consequently, he is the one that gets lost in the wood, despite his supposed cleverness. If we think about our Aspray property claims and management franchisees, the most successful amongst them are busy people, but busy people with a purpose, a plan and a strategy. They are the ones who follow our well-honed franchise model, so focus their activity on what matters for the growth of their business, not everything that lands on their desk. They are not talking about being busy 24/7, but busy focusing on implementation, in a way that gives them free time as well as work time, or work-life balance, if you prefer that phrase. They let their minds run free at times, so they can see the bigger picture. But let’s get on to Eeyore. Eeyore is a loner and, consequently, a great thinker, as he has a lot of time in which to think. The trouble is, the more he thinks, the gloomier he becomes. He complains about everything and has ‘no gaiety, no song and dance, no here we go round the mulberry bush’ in his life, as a result of his pessimistic outlook. This kind of attitude just cannot be deployed within a franchise business. Positivity has to be the order of the day. The working day will throw up issues and obstacles and sitting back and just moaning about them won’t make things better. Clients, who are in a bad situation anyway, due to a fire, flood, escape of water, or some other form of property damage, do not want to be dealing with someone downbeat and depressing. They want to feel, from the moment they meet one of our property claims loss assessors, that they are working with people who will be dynamic and get them out of their current situation as fast as possible. An Eeyore just will not elicit that reaction or be able to show the empathy needed in such situations. Unless an Eeyore can change their attitude, they will not succeed in one of our franchise territories, as they are often happy being gloomy and too accepting of things that fit into their own grey world – Eeyore’s birthday presents of a burst balloon and an empty honey pot being a perfect example of that, as an Eeyore can find the balloon fits perfectly inside the pot and is happy enough with that outcome, rather than the one that could have been. But becoming an Aspray franchisee, and then working to become a successful one, is also about understanding what you do and do not have within your skills set. “Tiggers can do everything”, but the bounciest Tiggers who attend our head office 121 meetings and believe this is the case, are often the ones who metaphorically become stuck in the tall pine tree because, in reality, Tiggers cannot climb trees. Energetic franchisees have to be realistic about their talents and their strengths and weaknesses, or they too will get stuck and be unable to take the business forward. Over-confidence can be a weakness. Piglets, on the other hand, are people who understand the Virtue of the Small. 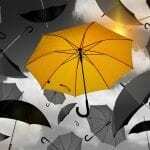 They are very aware of their limitations, because they listen to their inner self and know themselves very well. However, they often have a fear of falling and trying and a fear of ‘What if?’. This can often prevent Piglets from applying for our professional franchise opportunity, because it means being brave. All is not lost, however, because Milne’s Piglet proves that he can be brave, despite his size, because he works within his own limitations and focuses on his strengths, rather than his weaknesses. By being positive, the ‘Day of Piglet’ can arrive. This is very true of some franchisees, who at first worry too much about their achilles heels and do not focus on their talents. Luckily, Aspray’s franchise recruitment process can help the Aspray representatives see the potential in many Piglets and, by demonstrating how they can apply themselves within our model and delegate some tasks that are not their core competencies to others (often partners), Aspray can show them how to thrive. Additionally, Piglets have that great quality of humanity, a big heart and lots of empathy, all of which are vital within the world of loss assessing, in order to win the confidence and trust of the client and to be able to guide them through their property claim, reducing their worries as much as possible. After analysing the situation in terms of Winnie the Pooh and the Tao of Pooh, two things became clear to me. There is a percentage of the pool of potential Aspray franchisees that can never become a property claims franchisee, because they are either too theoretical, too busy without focus, or too pessimistic to build their own business in a regulated environment. On the other hand, it takes a mix of Pooh, Piglet, Tigger and the more focused Rabbits to formulate the perfect loss assessing franchisee. A successful Aspray franchisee has to just be, get on with things, be productive and empathetic, but also be very self-aware and honest about their plus points and their minuses. Outlook is everything in our world, so let me conclude this article with the Tiddely-Pom Principle, otherwise known as the Snowball Effect. The more you push a snowball downhill, the bigger it becomes, which is also true when you think about something in a good or a bad way. If we want to believe things are bad and less than perfect, they will very quickly become totally imperfect in our eyes and discontent is bound to follow. If we see the good in them, that feeling will expand and fill us with positivity – exactly what is needed to succeed in self-employment. On this basis, if you view our professional franchise opportunity at www.asprayfranchise.co.uk and have niggling doubts about whether it is for you, it isn’t. If you find out more about it and your heart skips a beat thinking of what could be, please get in touch on 0800 077 6705.